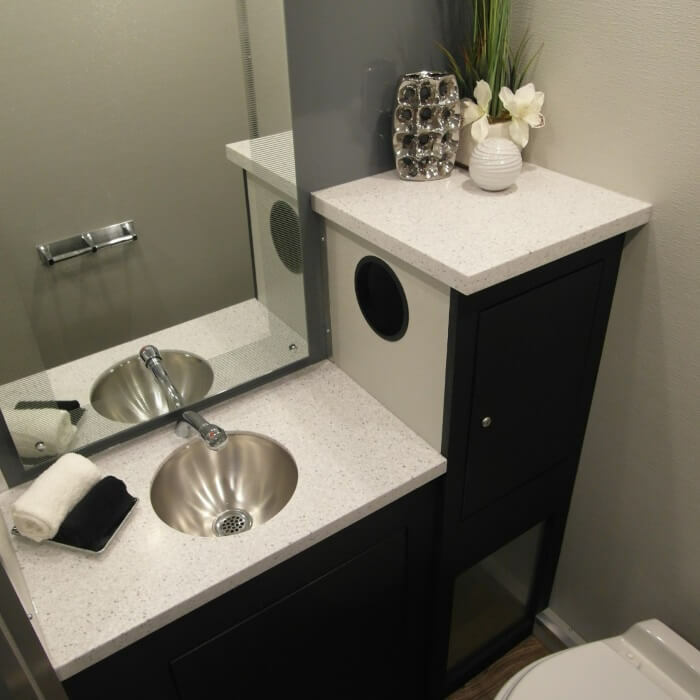 The Porta-Lisa is a luxury restroom trailer exclusively available at Moon Portable Restrooms. 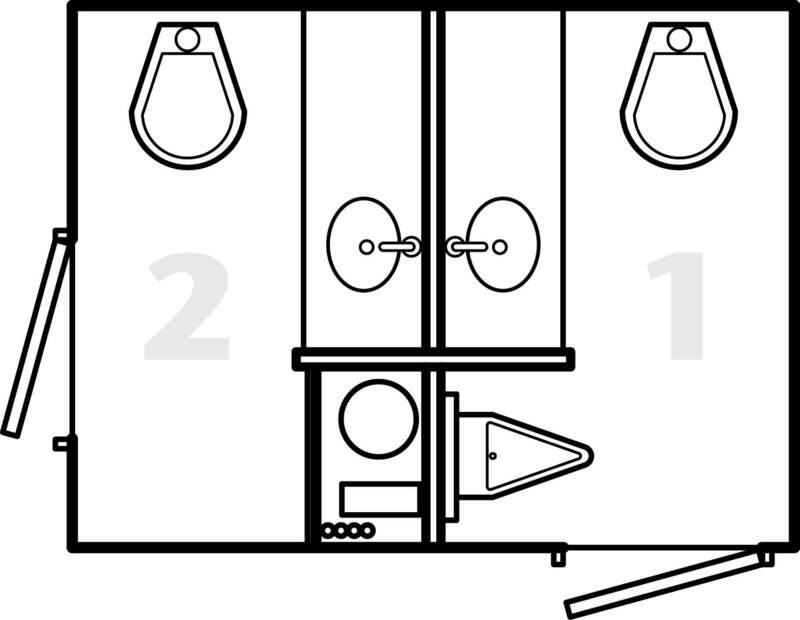 The Porta-Lisa features one private facility for men and one private facility for women. 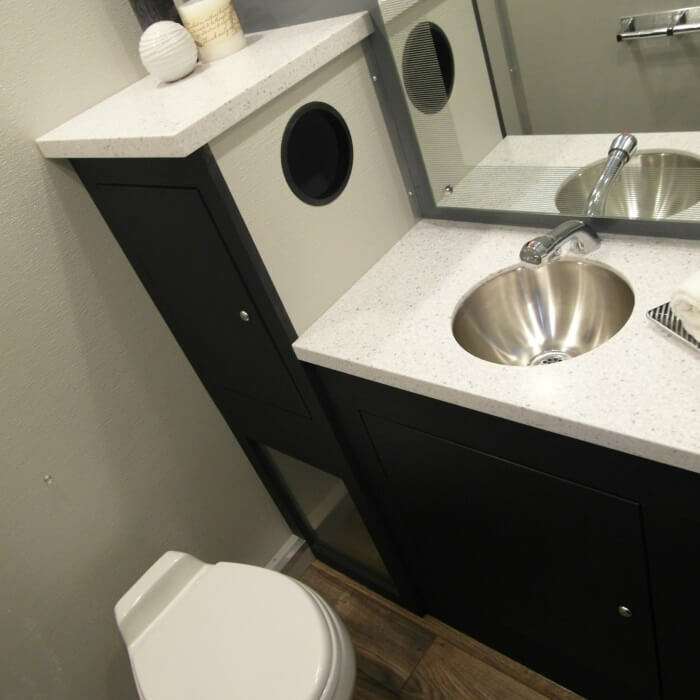 Each of these facilities are supplied with a flushing porcelain toilets, stainless steel sinks, auto-stop faucets, wood grain flooring, and granite vanity counters that provide ample space. 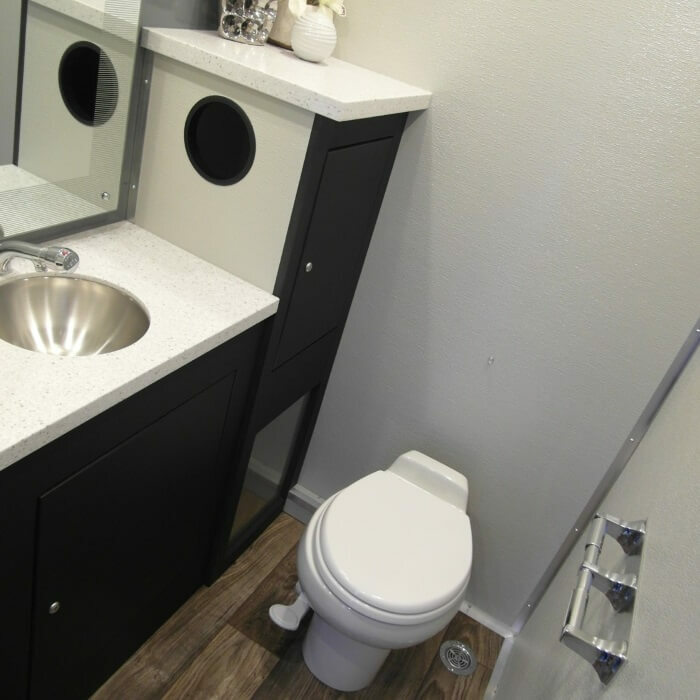 With LED porch lights and a custom etched mirror, the Porta Lisa restroom trailer is perfect for a small gathering that doesn’t want to use standard portable restrooms. 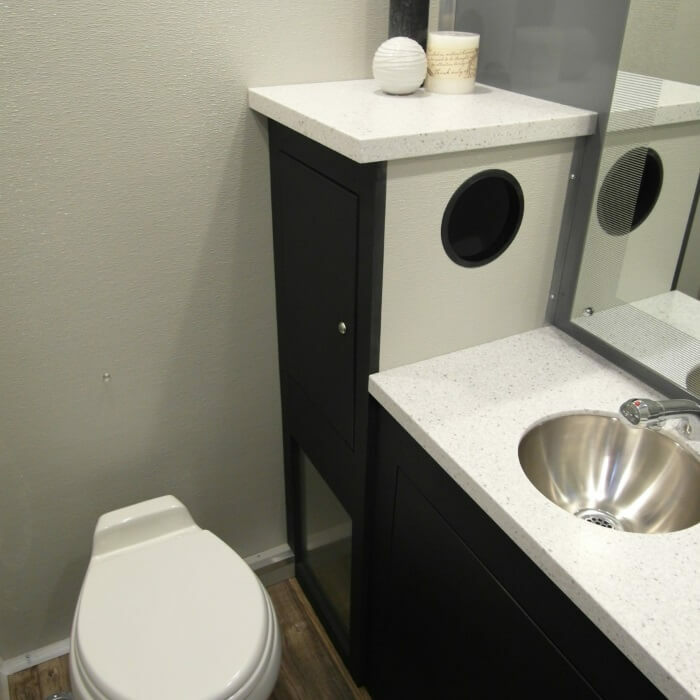 The men’s and women’s stalls feature floating cabinets for additional storage and the men’s private bathroom cabin has a urinal as well as a flushing toilet. 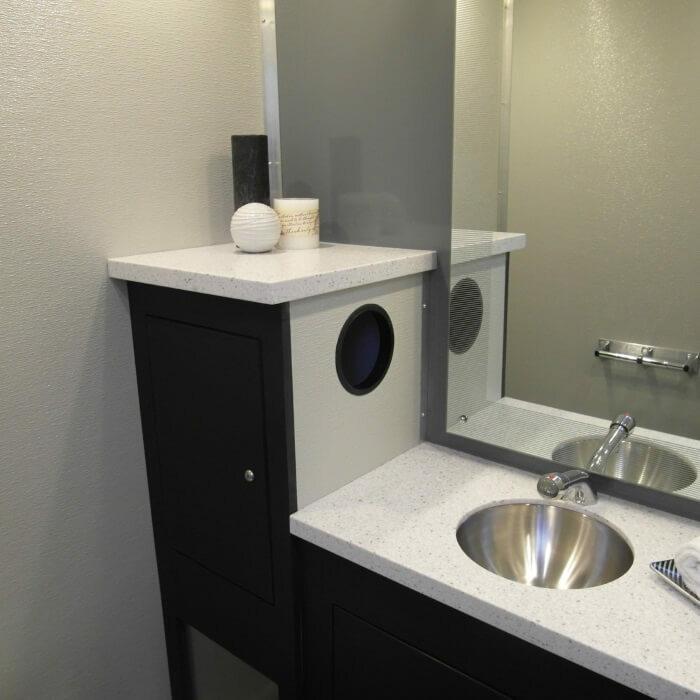 Each cabin comes with a paper towel dispenser and a soap dispenser. 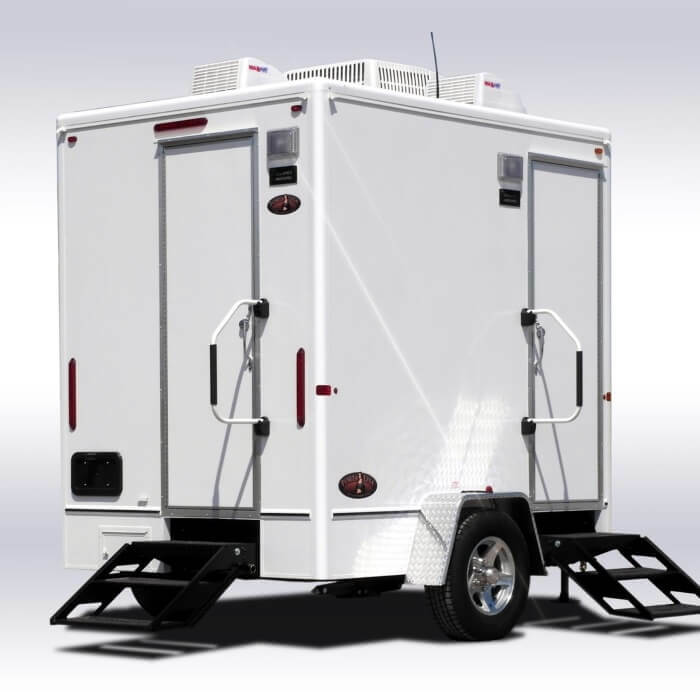 The Porta Lisa restroom trailer from Moon Portable Restrooms can also be air-conditioned and/or heated for optimal comfort regardless of the time of year you are throwing your event. 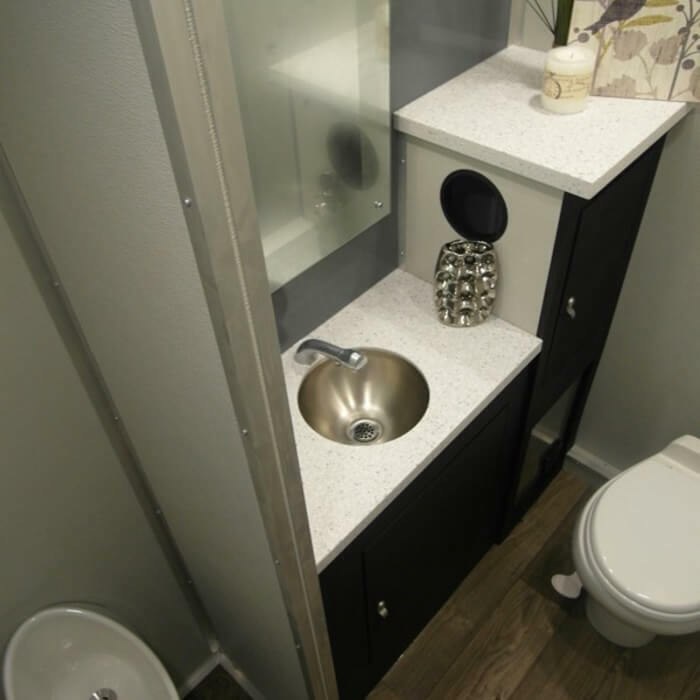 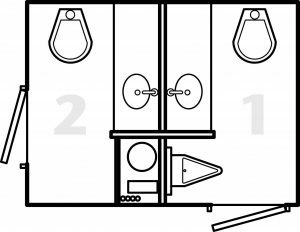 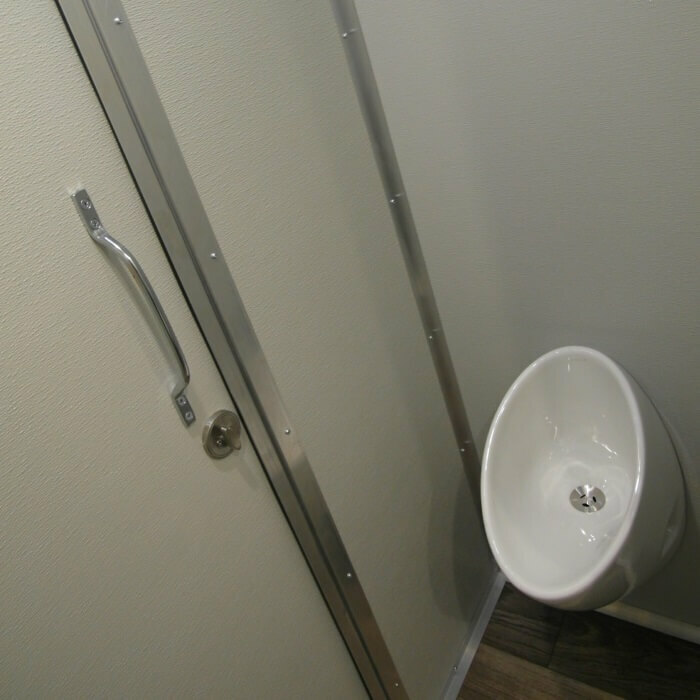 The Porta-Lisa restroom trailer has a few requirements that must be met to take full advantage of the luxury amenities. 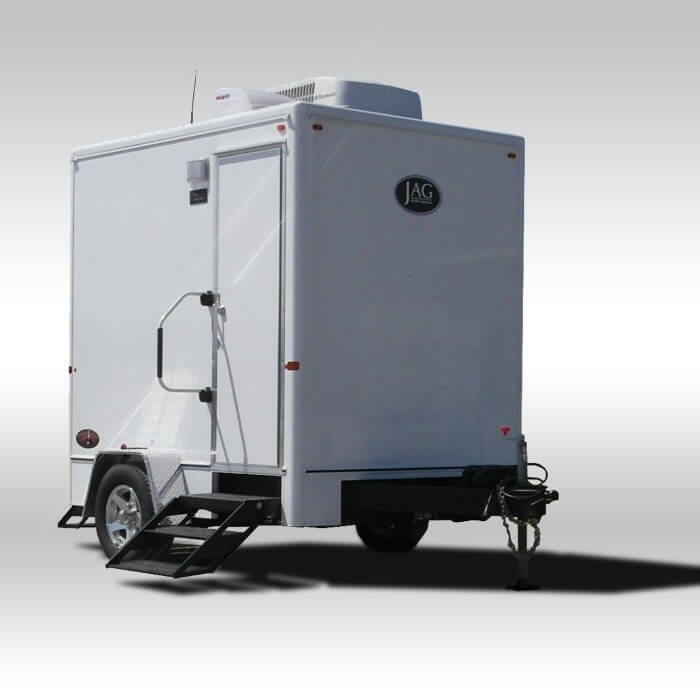 In order for your rented Porta-Lisa to work to its full potential, you’ll need at least a 9’ x 10’ level area of ground. 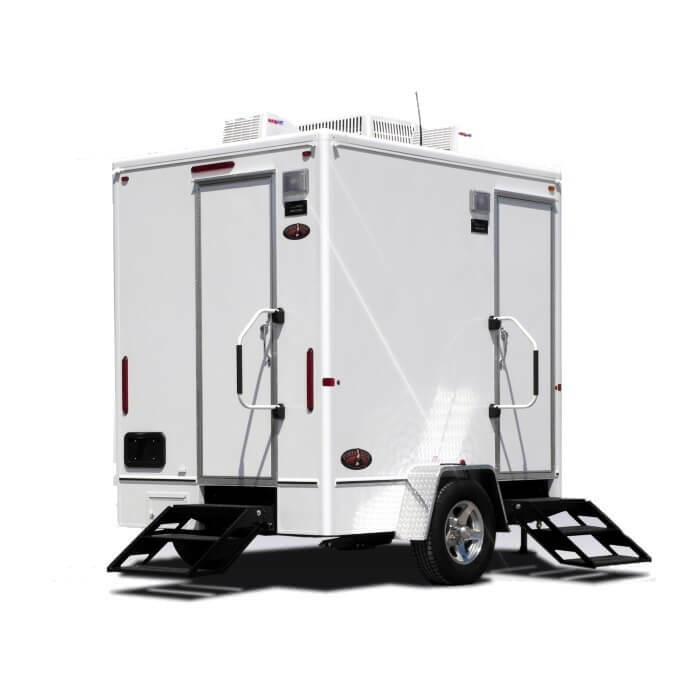 The Porta-Lisa is electric, so you must set the restroom trailer near a 110 volt / 20 amp dedicated circuit and a water source that is within 50’ of the restroom trailer. 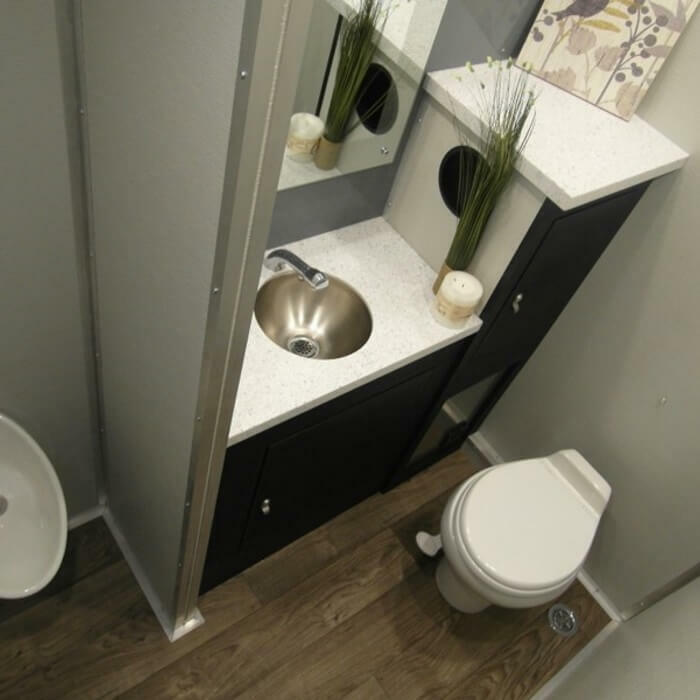 Porta-Lisa restroom trailers are provided by Moon Portable Restrooms in Louisville, KY. You can rent our restroom trailers by the day, week, or month and a date and time for delivery can easily be scheduled by calling our office at 502-776-2199.